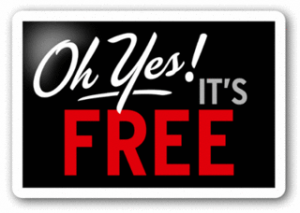 You have always been able to register your “Space Wanted Listings on SpaceOut for Free, but for the last couple of years we have been charging a small monthly fee for Private Space for rent listings (and slightly more for Commercial Space for rent Listings). Over the last few months or so, we have noticed a drop off in the number of Space for Rent listings – and this has had a bit of a snowball effect, because the more listings we have the higher visibility the site receives, the more visitors we get, and the more reasons there are for other people to list. We want SpaceOut to continue to grow and evolve and become an incredibly useful service for everyone… so to this end, the best way we feel we can achieve this is to offer Space for rent Listings completely Free as well. So, for the foreseeable future, you can create you own Private Space for Rent Listing for no charge. Your listing can include up to 3 photos and will remain active for 3 months (unless you choose to suspend it yourself once you have rented out your space). Private Listings are designed for individuals or small businesses wanting to rent out their space – we still offer more sophisticated Commercial Listings (with extra features @ $15 per month) for Commercial Storage operators and Space rental businesses. Traditionally January is the busiest time of the year for Self Storage. 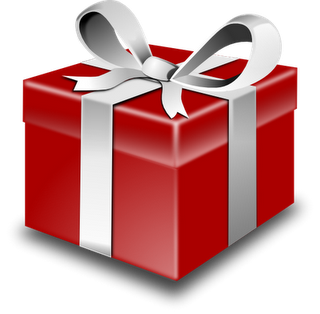 Many people tend to spend time over Christmas tidying, sorting and preparing for the year ahead – so if YOU have a spare room, garage, shed, parking spot, office, hall, backyard, or even a paddock or barn that you are not using – it may be of use to someone else – and NOW is a perfect opportunity to turn it into some extra ongoing income. As a special Christmas/New Year offer to SpaceOut members and visitors, we are giving you the chance to try out SpaceOut for free. So if you’ve wondered whether renting out some of your unused space might be a good way to earn some extra cash, but didn’t want to commit to an upfront listing fee, now is your opportunity to try it out for absolutely nothing. For a limited time you can create your Space for Rent Listing and get the first two months for FREE. You will need to sign up for future payments, but can cancel any time you wish, so you could advertise and rent out your space within the first two months and pay nothing at all to get an ongoing residual income. In hard times, the traditional Aussie values of mateship and lending a helping hand will always come to the fore. 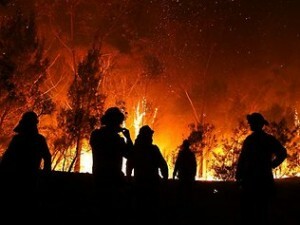 When people are suffering from natural disasters such as the 2013 New South Wales Fires, most Australians are motivated to help out wherever they can. The problem though is working out the best way to help fire victims – without causing more problems, or getting in the way of the relief effort. A natural first reaction for most of us, is to consider the types of things that fire victims might need, then think about what things they themselves have (and could do without), and then wonder how they should go about getting their stuff to the places they are really needed. Undoubtedly many of these donated items could be useful, but unfortunately, even though it may initially seem to be a great idea, the donation of items or goods, is often not a very practical solution. 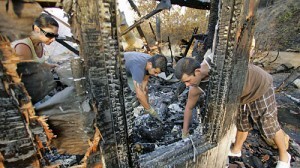 Unless you are located in or very near to the fire affected areas, the costs associated with receiving, storing, transporting and distributing donated items are very high, and it could end up costing significantly more to pass on donated items than it would to provide new items purchased in the local community. NSW police have released a statement advising community members of the most helpful things they can do to assist with the recovery. Allison Rowlands, NSW Director of Disaster Welfare, has asked people to carefully consider what they give in order to minimise the donation of unwanted goods. Fire damage has an impact on entire communities, however , many people may not be directly affected, and would LOVE to be able to help, but are not sure how. HelpOut is an online service aimed directly at people living or working in or near to flood affected areas who are wanting to help, and also those needing help. If you are part of a local community, and are living or working in or very near a flood affected area, then with HelpOut, the donation of items, goods or services could become a viable options. HelpOut allows people to list the types of items or services that they can help out with, in the specific area or community that they are able to assist. If you need help, or could do with a helping hand, you can also create a Help Wanted listing – which specific what you need, and where you are located. Note: HelpOut is not able to coordinate or be involved directly with individual offers or requests for Help or assistance, the service simply allows people offering help to get in touch with those needing help – and let them sort out the details between them. What types of things could I offer? There are many many thing that could help out the NSW fire victims – many communities have been devastated and some have lost everything, so pretty much anything which might help them get started on the road back to a normal life could be of benefit. It’s not only goods and items that are of help though. offers of a helping hand, a bit of a break, or even a shoulder to cry on can help a lot. Often very simple things can make a big difference as it reminds the fire victims that they are not alone, people really do care, and that their lives will return to normal even if it takes time. Outline below are a few suggestions for simple, but practical, hands on thing that you may not have considered, but if you have any other ideas, please feel free to leave a comment below. Even if you live elsewhere in Australia, you can help spread the word about HelpOut – particularly if you know someone or have contacts in those parts of NSW that are being affected by fire. If you let people within these local communities know about the HelpOut service they may be able to create their own listings. Also, clearly people who have been directly affected by the fires are likely to have little or no access to the internet. If you have friends or family who are suffering from the fires, and have some specific needs, you could consider creating a listing on their behalf – outlining what they need a hand with (make sure that you specify their location though – not your own). The modern trend of people accumulating more and more “stuff”, is making it harder for many people to store their belongings. This, coupled by the fact that many people are now living in apartments, makes the luxury of owning a garage or shed a rare commodity. the nature of the goods being stored. 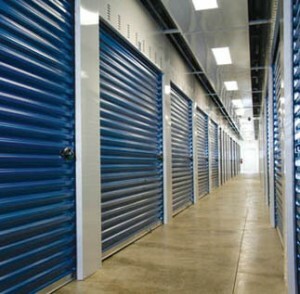 Self-storage units are the most common type of storage facilities. They are most often used for storing office supplies or furniture while moving or relocating business assets, such as office furniture and goods. These types of units are often convenient and easy to access, with a wide variety of size options. However, you are responsible for the arrangement and condition of the stored goods. Plus, the security provided may be limited, and the internal environment of the storage space may be subject to climate variations, dampness, mold and even pests or vermin. The rent on this type of storage can be costly, but is considered a suitable for short-term solutions during home/office re-settlements. Climate controlled storage units allow stored items to be protected from all types of weathering; this means that the temperature and humidity in the units are carefully monitored and controlled . Climate Controlled units may be regarded as a luxury but they are perfect for safekeeping of valuable items such as vintage furniture, old books or artwork, oil paintings and brass ornaments. The buildings and facilities containing climate controlled units are typically well secured and under constant supervision. It is not uncommon for these units to be in underground sites and accessed by elevators.. Unlike a self storage option, the goods cannot always be easily accessed. The goods are available for check-outs during limited daily hours, but most companies are willing to meet customers’ demands if there is a need for access outside the standard hours. Portable storage containers are useful when when it is necessary to keep stored items in the vicinity of work or residential premises. If onsite storage space for becomes insufficient, any surplus goods can be easily kept nearby and accessible by the leaseholder at anytime. These containers are supplied and delivered by the storage-rental companies and after they have been filled with desired items by the leaseholder, can either remain where they are or be transported to the company’s property for safekeeping. These containers are also rented when long distance resettlements are done, in which case the rental agency is responsible for container transport, but usually not for the condition of transported items. The downside of using this type of storage units is that they provide little protection from cold or heat and objects sensitive to temperature variations should not be stored in this manner. If you do need to secure your car from either severe weather conditions or need storage whilst traveling, opting for car storage units like this one in Auckland is a sensible option. This type of storage resembles a huge parking lot with vehicles arranged in a systematic order. You can also opt for a more expensive solution; having your car separately stored in a single compartment. This option can be best for those with expensive vehicles (yacht, sports car); the vehicles are kept under maximum security with video surveillance systems, alarms against intruders and people guarding the premises round the clock. If you’ve ever read any of investment guru Robert Kiyosaki’s books on wealth creation, you know that he only classes true assets as things that are income producing. This idea has been controversial, particularly when it comes to the humble home and the emotions that surround it. But we’ve uncovered some very clever ways to turn your home into a ‘low-work’, or even ‘work-free’ income producer!! Take a close look at some of these ideas to generate extra income from your home…. Did you know that there are online services that allow you to advertise empty or free space around your home, garage or business as general storage space? The most established site of this type – SpaceOut (www.spaceout.com.au) – allows people to find storage space that is cheaper than ‘traditional’ storage facilities. Space owners can easily earn a few hundred dollars a month, with no ongoing work. Car spaces can also be advertised on SpaceOut. If you live anywhere near a city centre or other populated area where on-street parking costs are high, then your driveway or spare carport could be worth a few hundred dollars a month too. Australia has some of the most expensive parking in the world, so offering your spare car space to a professional working in the city could really save someone some money while helping your passive income! Sites like www.findacarpark.com.au give you a place to start (or Google search “rent parking spaces Australia”). You can bring in some extra cash – sometimes a few hundred a week – for accommodating an overseas homestay student, but this kind of income stream can also offer many other benefits. It is certainly a great way to broaden your horizons, particularly if you have similar age children. Some homestays will need daily meals like other members of the family, but this not that much extra effort. Providing a unique experience to a foreign student is not passive income, but can leverage your property if you have a spare room or area in your home. Check sites like Australian Homestay Network (AHN) for more information. Not all learning happens in the typical ‘classroom’. If you have any skills that can be taught, anything from piano lessons, tax basics, IT skills, flower arrangement or cooking, you can convert a spare room or part of your house into a classroom. This can be a great little earner at home, and typically you’ll be teaching something you love. You can advertise in local classifieds or social media and you’ll be building a customer base in no time. These ideas may sound simple, but they can be very effective ways to turn your home into an income-producing asset. And why not? Increasing your number of income streams can reduce the impact of increasing everyday expenses or just give you some extra cash. NOTE: Be sure to check with your accountant for any tax implications when tax time comes around. Gone are the days when everything you didn’t need at the time, could just be thrown on the pile in the shed and be done with it. Sheds and similar buildings have, for most people, become a thing of the past, since urban life simply doesn’t allow such spatial luxuries. On the other hand, storing of various items has become a part of everyday life. The modern age has brought a variety of surpluses, and the greater need and opportunities for archiving and storing has, become more accessible even to people with very modest income. There is no doubt that almost everybody could use extra storage. However, the big question is how much do you need storage? The following is a list of seven questions to ask yourself (or a storage-rental company) if you are thinking about renting storage space. Renting storage space may seem like a great idea for many reasons. However, that may not always be the case. Some people have found that out the hard way, paying storage for much longer than they planned, while delaying the long overdue move of their things month after month. Accumulating stuff has become a mania of the modern age (see https://en.wikipedia.org/wiki/Compulsive_hoarding). There are many examples of (at least seemingly) perfectly normal people behaving like squirrels, showing that man, simply, has an affinity towards piling. It is advisable to take that into consideration when weighing pros and cons for renting storage space. 2. What sort of storage space do I need? The first thing that you’ll need to decide on is the type and location of the storage that you will be renting. Several types of storages are generally available, depending on its preferred location, the size and type of assets that will be stored, specific needs in terms of accessing stored goods and other factors. For example, if you need storage for car parts, it is probably not sensible to rent a container placed on the outskirts of the city, two hours-drive from home. Similarly, if you intend to keep paper files in storage, it needs to be dry and with regulated temperature, in order to provide suitable archive conditions. Though this question may seem straightforward, the key factor in deciding on the size of the storage is not just its required volume, but also the projected type and frequency of access to stored assets. If you will be going regularly and you require quick access to small items, it could be wise to consider renting a storage with bigger surface like this one in Melbourne, but with a low roof (saving you some rent money). If you are renting a shipping container, be sure to ask around for permits or special considerations needed for placing the unit where you intended. 3. How often am I going to go? This is a key question for determining the best location for your storage space. Keep in mind that, if you intend to go there often, it is probably better to rent something as close as possible, even though it may cost you a bit more. This way you will save petrol money and a lot of time you would have spent driving to and from your storage, and what may at first seem as a bargain may turn out to be quite the opposite. Once your preferred location is roughly determined, you should call local rental companies that match your criteria and ask for a detailed breakdown of costs. Ask for the fees, are they fixed or they will change and if so, in what manner, what penalty fees you can expect etc. Many rentals will have all this summed up in a brochure, so be sure to ask for it, in case they don’t offer it themselves. 5. What are the conditions of storing? It is important to know what may be stored next to your storage. For example, just a little amount of forgotten food can attract rodents and insects that will penetrate all the surrounding storages. There are other ways neighbouring tenant’s assets can negatively affect yours. 6. 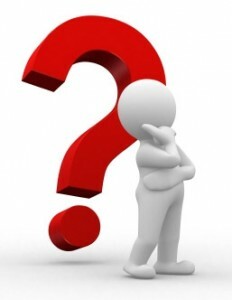 Am I liable in case of damage, accident or theft? Storages carry the same risks as any other objects. It is very important to know in advance what situations the rental company’s insurance will cover and how, in order to protect yourself from any unpleasant surprises. 7. How am I going to organize it and what, if any, storage equipment will I need? It is very important to think about this in advance and to arrange the storage as you fill it, not once you have filled it. Planning this in advance will save you a lot of time and trouble. You’ll have more space and be able to access everything you need much quicker and easier. 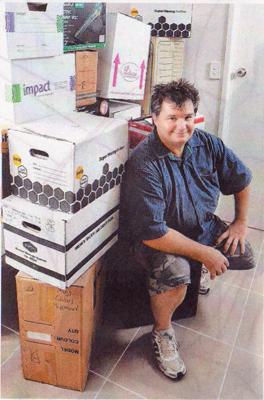 Article provided by Kennards Self Storage. CBD Parking fees to Jump by 37% – But there is an alternative !!! An increase in on-street parking fees in the Melbourne CBD and an above-inflation rate rise are the key announcements in a tough first-year Melbourne City Council budget. On-street parking will increase from $4 an hour to $5.50 an hour – and increase of 37.5 per cent – and follow increases in the state budget for off-street parking in the city. In Sydney the story isn’t much better where parking can cost up to $82 for 4 hours in the CBD, and in Brisbane daily casual parking rates of $65 plus are the norm. Australia has some of the highest parking rates in the world – which is crazy when you think of how much space we have. 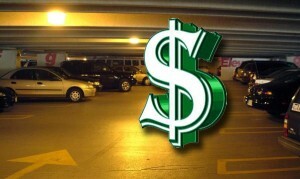 Savvy commuters are finding more cost effective ways to park – and there is more than one winner here. A growing trend towards Collaborative Consumption (sharing) is having an impact across many areas, and parking is one of those things that people are increasingly “sharing”. People who have spare or unused car parking spaces at their home, apartment, or workplace are listing them for rent online at specialist websites like www.spaceout.com.au. SpaceOut’s Director, Damon Russell says that they are seeing an increase in the number of private parking options in the CBD’s across all capital cities. Russell says; “ Spaceout.com.au has customers that rent out there carpark during the day whilst there car is not there. They can collect a nice little income from it”. Private Storage rentals have also emerged recently as an alternative to traditionally expensive self storage. Using websites such as Spaceout.com.au, storeroomrentals.com.au and findacarpark.com , Aussies can rent out their unused space privately as a car park or in place of self storage and make extra income. It is surprisingly simple – just put down the details of your space in as much detail as possible, including pictures, maps etc and your price, and wait to be contacted. Most sites have a small fee to list your space on the site Spaceout.com.au is $6 and findacarpark.com is $30….Not a lot when you could earn a couple of hundred dollars a month. In response to the 2013 QLD Floods, SpaceOut has reactivated HelpOut (http://helpout.spaceout.com.au) – aimed at getting help to those people affected by flood. SpaceOut is very good at hooking up people who have something, with those that need something. HelpOut extends on this functionality, and helps local communities help themselves, by assisting the people who really need it. Now and in the coming weeks and months, home and business owners affected by flood waters will continue to need assistance, in many different ways to put them on the road back to a normal life. The types of assistance required is going to become clearer as the massive coordinated volunteer programs wind down, and new, more localised and specific needs for help become apparent. HelpOut is perfect for putting people offering help, in touch with those needing it – within their own local communities. Obviously you should donate to the Flood Appeal if you can afford to. You should also get involved in volunteer programs (through Volunteering QLD for example). But one of the best ways you can make HelpOut as effective as possible, is to simply spread the word – particularly to those people who have been directly affected. Email a link to this post to friends, family, colleagues and contacts, or pick up the phone and tell them about it. We are confident, that with the support of SpaceOut members, and the community in general, that HelpOut can make a significant impact in flood affected communities on the road back to normality. Once again, Brisbane has won the dubious distinction of Australia’s Most Expensive Parking Rates. The RACQ’s annual audit of capital city off-street parking costs examined the parking rates of all Australian CBDs, and has determined that at an average cost of a whopping $27.94 per hour, Brisbane is Australia’s most expensive CBD for one-hour parking. The average weekday Brisbane CBD parking rates increased 28.7 per cent over the past year and Brisbane motorists are now paying almost four times what they did in 2001. Brisbane short term parking rates are currently five per cent higher than the Sydney CBD at $26.71 per hour and 64 per cent more than Melbourne at $17.08 per hour. Brisbane motorists who want to go to the CBD for a movie, shopping or some other purpose will pay an average of $42.31 for two hours’ parking and $65.71 for four hours. The video below is Channel 10 story on the RACQ study. As the commercial parking prices continue to rise, the opportunities for renting out parking spaces privately becomes more and more attractive. SpaceOut provides Private Parking Listings at a significantly reduced rate. 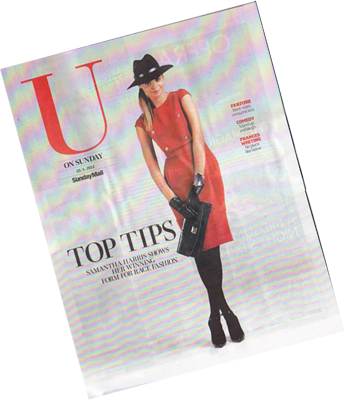 SpaceOut was included in an excellent feature story by feature writer Mike Bruce, in the “U On Sunday ” Magazine lift out from today’s Sunday Mail Newspaper (Qld). The article “Sharing and Caring” was focused on one of the latest consumer trends sweeping the world – Collaborative Consumption. or rent out our underused gadgets to save money – and the world. Collaborative Consumption takes many forms, but essentially it’s a new way of consuming -renting, recycling, sharing and lending goods instead of buying them. It’s about reducing consumption, cutting waste and stretching the life-cycle of products. Andy Henderson, 48 is another member of the Queensland phalanx leading Australia’s charge on CC. When friend Damion Russell was heading overseas in 2008, he had a household of items that weren’t exactly worth a fortune, but worth enough to hang on to. Russell was astounded by the cost of commercial storage space and so pondered the possibility of finding storage privately, perhaps a garage, spare bedroom or under a house. From his frustration a business was born. In 2009, the pair, with one other partner, founded SpaceOut and currently have over 300 listings Australia wide. It;s expanded to car and boat parking and office space, and even the bog players in the commercial storage game are listing on the site. SpaceOut suggests individuals charge 50 to 70 percent of the commercial rates, but rates vary greatly depending on location, type and condition of the space. One SpaceOut member is seeking $500 a month for a 50sq m space in Stafford, while another wants $400 for a 240sq m space in Boondall. The Full Article provides a great overview of Collaborative Consumption and definitely worth a read.